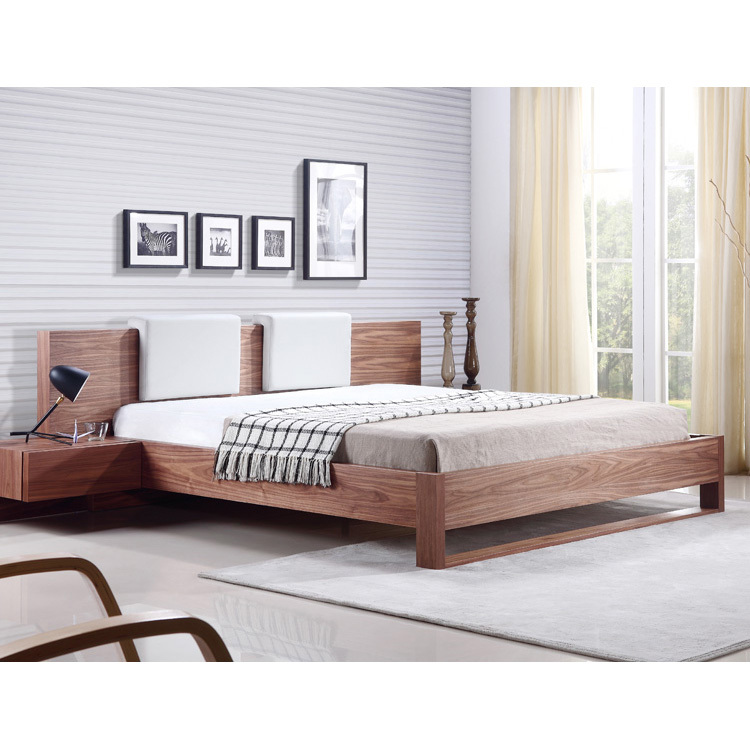 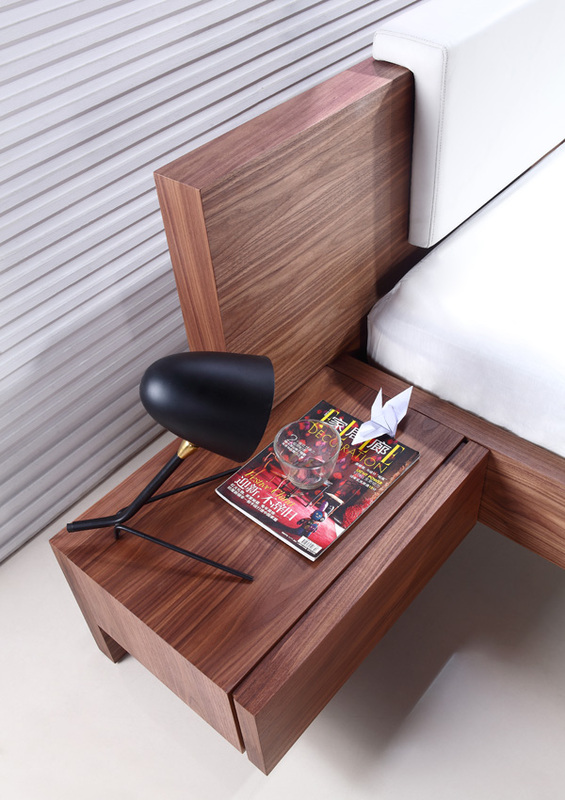 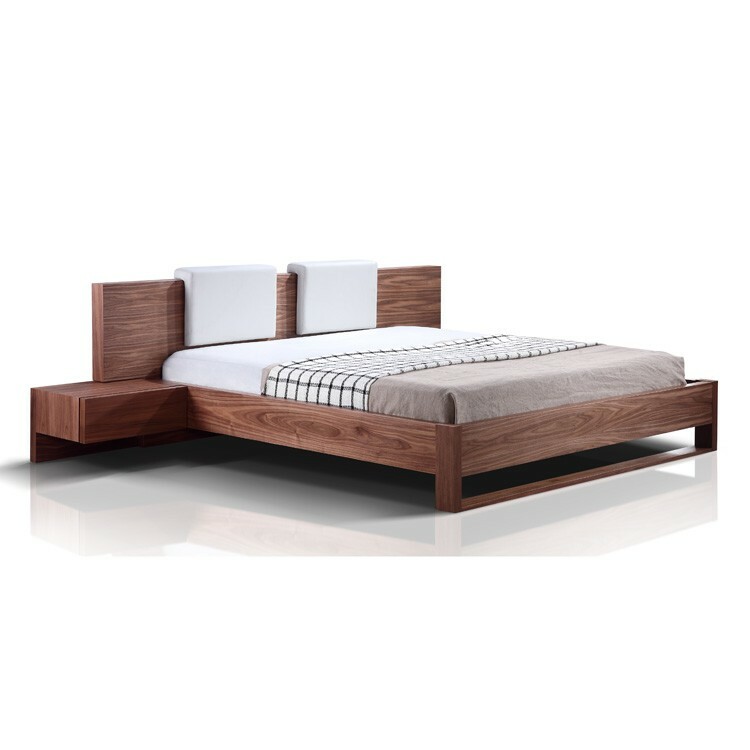 A smart contemporary bed in walnut veneer available in king and queen size. 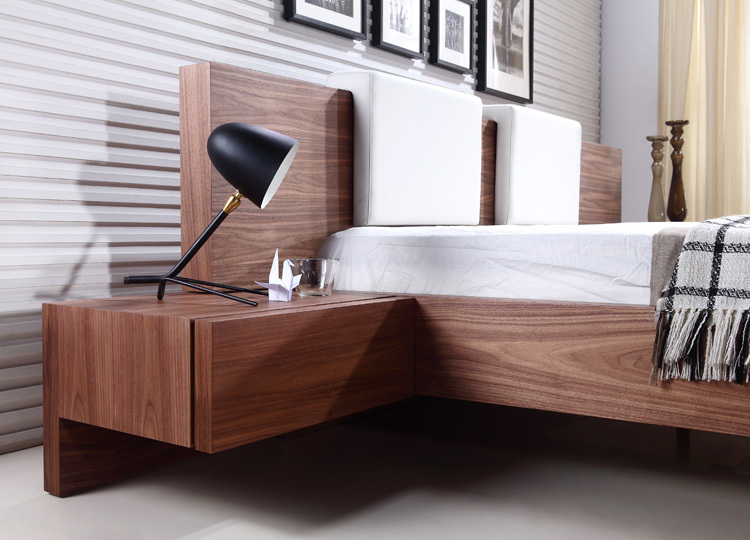 Clean modern lines that help create a sophisticated look. 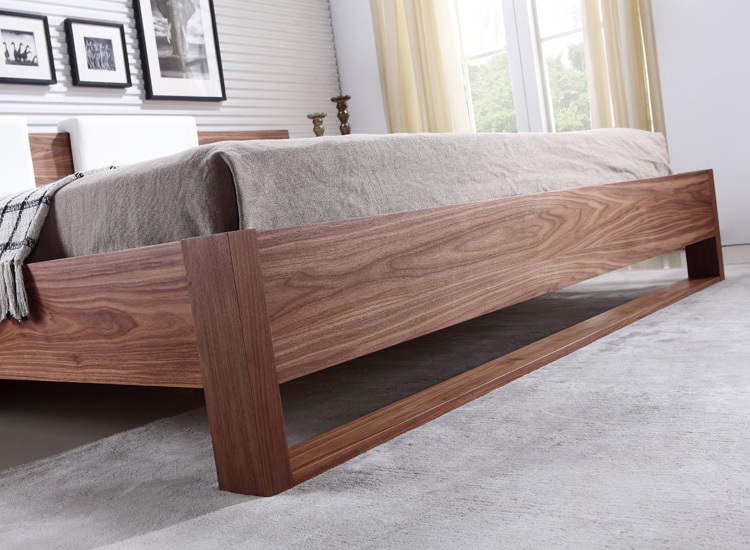 Nightstand and headrests sold separately.